Broads Auxiliary Sailing Yacht – ‘Pandora One’. 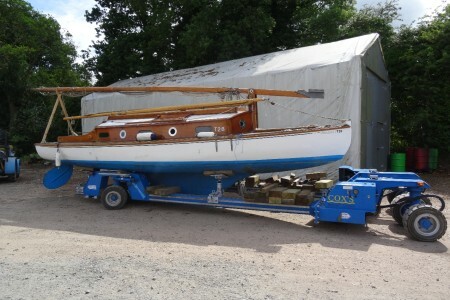 Price: Offers in excess of £12,000 from sympathetic sailors considered! Installing new marine toilet discharging into a stainless steel holding tank , sanding down the bilge and repainting, checking gas system [cooking stove] and rectifying fault, installing automatic bilge pump, constructing new boom. Equipment includes mainsail, jib, topsail (latter nearly new), elderly cover, bunk mattresses and usual running and standing gear and equipment, for Norfolk Broads use. List of movable equipment available. Boat Safety Certificate to 2020 awaited.